A few years ago, everyone took the idea of selling clothes online with a grain of salt. After all, who would buy clothes online? The buying experience in fashion was seen as nearly religious: feeling the fabric, running your hand over the sparkles, dolling up in front of the mirror in the dressing room. Is it possible to have the same experience looking at the screen of your smartphone? Nowadays, consumers have no time for going to brick and mortar stores and shopping is becoming more automated. Therefore, consumers say “of course it’s possible!” Thanks to new technologies and the availability of smartphones, consumers don’t lose any positive experiences by making purchases through a smartphone instead of going to a brick and mortar shop. We can’t say that fashion brands’ using mobile platforms for marketing is a trend. In fact, it’s a must. A fashion brand’s marketing strategy should focus on personalization, direct interaction with clients, and authenticity. It’s hard to imagine a tool that can perform those tasks better than a mobile platform. In this article, we examine in more detail which types of apps are relevant for fashion brands and what value they can bring to users. Why should you use a mobile platform in your marketing strategy? To create an effective marketing strategy, a fashion brand should use several channels at once. A mobile platform is one of the most important. Your target audience is precisely there. Using a mobile channel, you can build loyalty, humanize your brand, and personalize your message to your target audience. According to Google’s research, buyers are looking for information online before shopping (87 percent), when shopping (82 percent), and even after shopping (35 percent). Moreover, 75 percent of mobile users address their searches directly to a company’s site or mobile app. People who use multiple channels to interact with a brand are eight times more valuable than those who use only one channel, according to Macy’s. “Okay, but we already have a website and took our brand into the digital world,” you might say. Isn’t that enough? According to the ZenithOptimedia ROI agency, by 2018 advertising budgets targeting mobile platforms will exceed even those targeting desktops. This is not to mention the fact that the market for print advertising is rapidly falling. 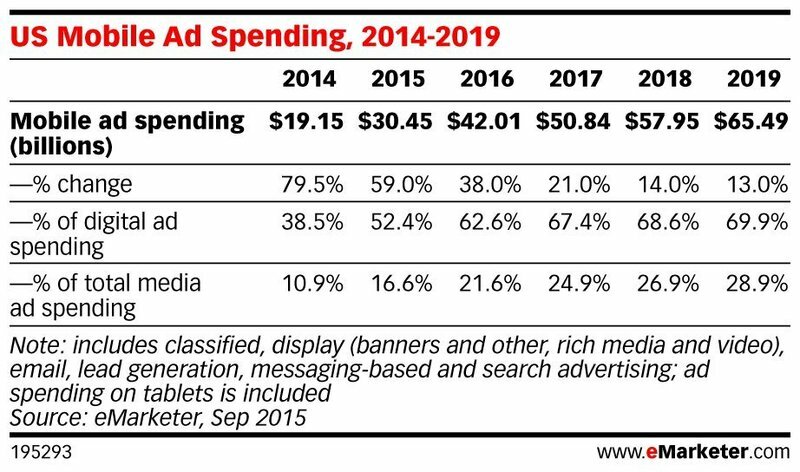 According to PricewaterhouseCoopers, the biggest trend in online advertising is the growth of mobile platform advertising, while advertising in other media sources is steadily falling. If a web and desktop presence is not enough, then how can you deliver your message to consumers? In this question lies an answer to the question of why it is worth using a mobile platform for your brand’s marketing strategy. What should a branded fashion app look like? There are a lot of third-party apps that you can use to get into your customers’ mobile phones. These include Instagram, fashion aggregators where your customers can create looks and make purchases (Spring, for example), and (of course!) Snapchat. But what if you could create a product that was valuable itself and associated with your brand only? In one of our previous articles, we reviewed five types of applications brands are using as marketing tools. But today we’re talking about fashion and specific examples of apps that help increase sales in this industry. The vast majority of apps created by fashion brands are catalogs of their products. This is the first and foremost value you can offer – efficient shopping. Customers can find what they need and make a purchase from the comfort of their chair. But famous fashion brands implement additional features to make their apps more valuable. 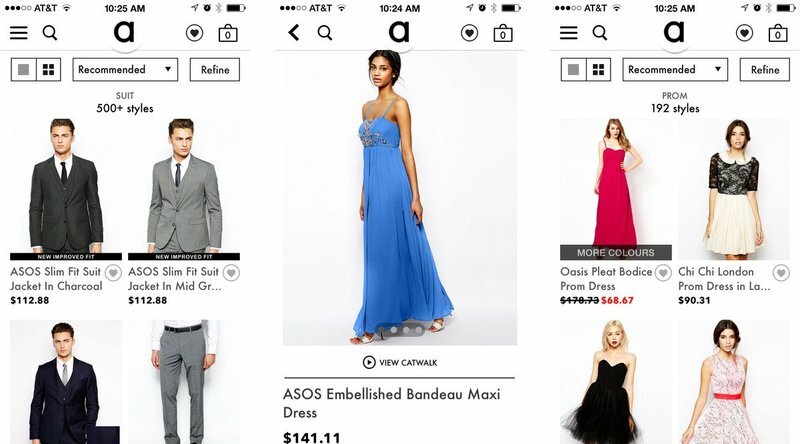 Which features are best for a branded fashion app? Most of the features that famous brands add are designed to shorten a user’s path to their products and to tell about those products as much as possible. The more convenient your app is for users, the better chances that users will turn into customers. How can you make this happen? If your catalog has more than even ten items, you’ll need search filters. If a user needs jeans, there’s little chance they’ll waste time scrolling through dozens of dresses and accessories. Filters make the user experience more personalized. Gap added advanced search filters to all its apps (Gap, Banana Republic, Old Navy), as did Mango. Users can filter items by size, color, price, and name. With filters, users spend less time searching and are more likely to return to your app. Most importantly, you can shorten the distance between users and what they’re looking for, thus increasing the chance of a purchase. Asos, Gap, and Mango give their users the ability to start shopping with one device and continue with another. Imagine a situation where a user comes to your app for sneakers but also adds a t-shirt for training and a few pairs of socks to the cart. Then, without having made a purchase, they log in on another device but the cart is empty. The chance that they’ll add those impulse buys to the cart again is extremely low. At best, the user will add only sneakers. At worst, they’ll add nothing. But when you synchronize user actions across devices, you increase the chance that users will make purchases. Louis Vuitton and Forever21 invite customers to use their apps not only on the go, but also in brick and mortar stores. If a user doesn’t find a product of the correct size or color in a store, they can scan the barcode and instantly find out which stores have the right size or color, or just buy it online. This feature allows you not to lose a customer due to lack of inventory. With the help of geolocation, users can find your brand’s nearest shops in your app. Inditex implemented geolocation in all its apps – Zara, Massimo Dutti, Pull & Bear, Stradivarius, Bershka, and Oysho – to make it easier for users to get to their stores. Mango and Gap send push notifications to their customers informing them about special offers and new arrivals. Push notifications help keep your users tuned to your brand. A lot of apps including Victoria’s Secret, Gucci, and Asos provide video streaming features. Users get access to catwalk videos, behind-the-scenes shoots, interviews, and exclusive promos. Gucci also provides 360-degree videos of their items. Dior has even developed a standalone app for videos only – Dior TV – for their fashion shows, collections overviews, interviews, and more. Before developing a mobile application for your brand, you need to consider why you’re creating it and what benefits you want to get from it. Of course, the first benefit is increasing sales. But on a mobile platform, this process goes a little differently than in boutiques. A mobile platform gives your brand the opportunity to transfer the benefits of buying in person to the online space, and then flesh them out with benefits that a smartphone can give. Personalization is one of the most important benefits of going mobile. Mobile channels allow you to personalize your marketing message. To personalize your message, you need to collect as much information about your customers as possible. With the help of an app, this becomes even easier than in a brick and mortar store since consumers are not likely to fill out paper questionnaires. This problem is solved by technology. You can offer questionnaires for bonuses or ask users a few simple questions when they first launch your app. And the most advanced way to do that is to use algorithms that track user behavior and collect data for you. This data can be used to personalize and target the marketing message of your brand more precisely. Asos, for example, has implemented an algorithm that tracks a user’s in-app behavior and, on the basis of their previous views and purchases, forms a list of recommendations for that particular user. Gucci uses their application a bit differently to get closer to their users. The Gucci app is not a standard product catalog. Instead, Gucci positions it as a storytelling app. Users can find stories about the brand’s creation, the creation of collections, shows, and seasonal trends. Dior offers a similar experience – the Dior Magazine is a digital version of the famous brand magazine where you can find many stories from the world of fashion and Dior itself. Once your brand has become closer to your customers, you should think about ways to increase loyalty. Old-fashioned plastic cards for regular customers no longer work the way they used to. Now, to stand out from the crowd you need to offer your customers a unique experience. 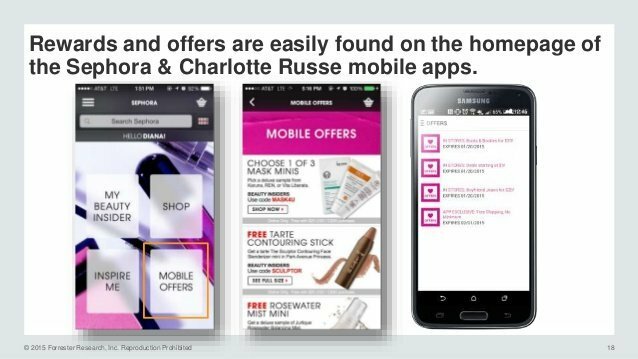 For example, Charlotte Russe and Mango provide customers with special offers available for mobile audiences only. 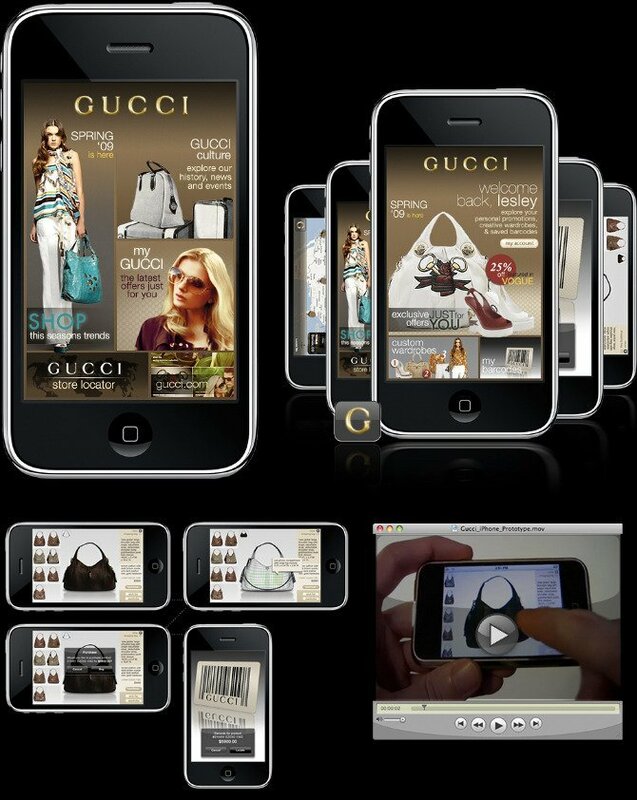 Luxury fashion brands are the most focused on brand awareness when creating their own mobile apps. On a mobile platform, you can create “shareable” and “shoppable” content. We know that it’s not that easy to make users share your items. That’s why it should be convenient to share your product listings and any other content in your app. H&M’s app, along with a lot of others, provides users with social sharing options. Now as never before, fashion brands need to create marketing channels that are available 24/7. Such an opportunity is provided by digital platforms. In order to deliver your message and maximize its personalization, you need to take advantage of mobile platforms. To make your customers come back to you again and again, you should make their in-app experience as convenient as possible and shorten their path from exploring your catalog to making a purchase.